When an Exchange mailbox or an Active Directory user account is deleted, a mailbox is not immediately deleted and is stored in the mailbox database for some time (30 days by default). Administrator can recover data from this mailbox or reassign it to another user. In this article, we’ll talk about the types of deleted mailboxes and the ways of management and restore of these mailboxes in Exchange 2010-2016. Soft Deleted – the copies of the mailboxes saved in a storage after the mailbox is moved to another mailbox database. Thus, the data get additional protection from the issues that can occur during or after the mailbox is transferred to another database. 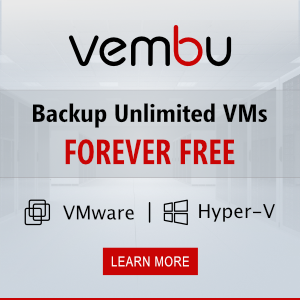 Both types of the deleted mailboxes are stored in the Exchange database before the expiration date specified by the administrator. 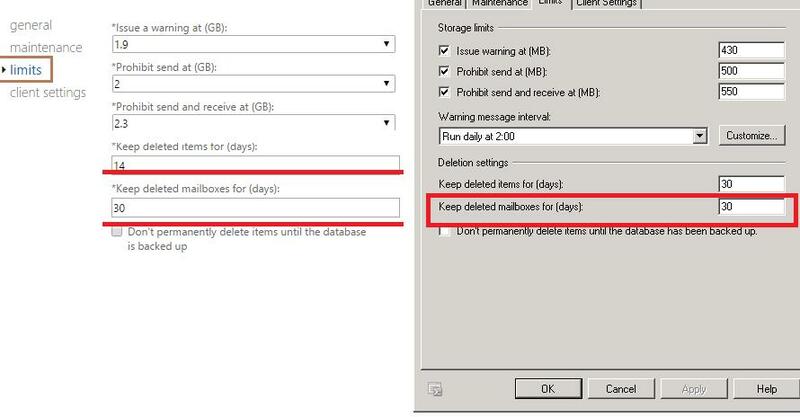 The time, after which a mailbox is deleted, is specified in the settings of each Exchange database in Limits -> Keep deleted mailboxes for days (screenshots below for Exchange 2013 and Exchange 2010). During the specified time, Exchange automatically clears the deleted mailboxes from the database. But the disabled mailboxes still take some space in a database, so during mass user migrations/removals, it may be necessary to force remove these mailboxes, thus freeing some space in the mail databases. To permanently delete a disabled mailbox from the database, use Remove-StoreMailbox cmdlet having specified the MailboxGUID of the deleted mailbox. 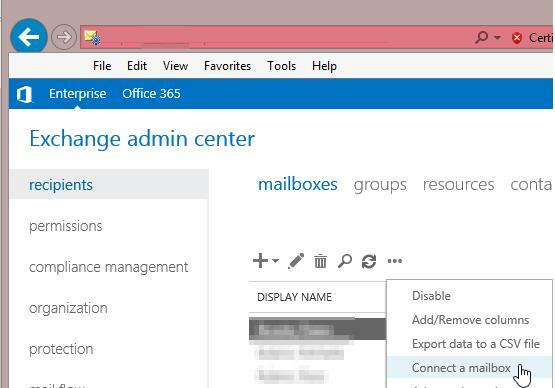 You can perform the same operation from the EAC interface: Exchange Admin Center -> Recipients -> Connect a Mailbox. Tip. Don’t forget to check and correct SMTP aliases if necessary. Before you start using the mailbox, wait till Active Directory replication is over. New-MailboxRestoreRequest -SourceDatabase Lon-DB1 -SourceStoreMailbox "JSmith" -TargetMailbox "Admin"